Today sees the retirement of Adrian Read, aka ‘Sid’, after nearly 50 years as one of our top cabinet makers at Titchmarsh & Goodwin. Sid joined us as a 15-year-old apprentice on April 3rd, 1967. He trained while making oak pieces and studying for his City & Guilds in cabinet making, before moving onto fine veneer work in the early 1970s. 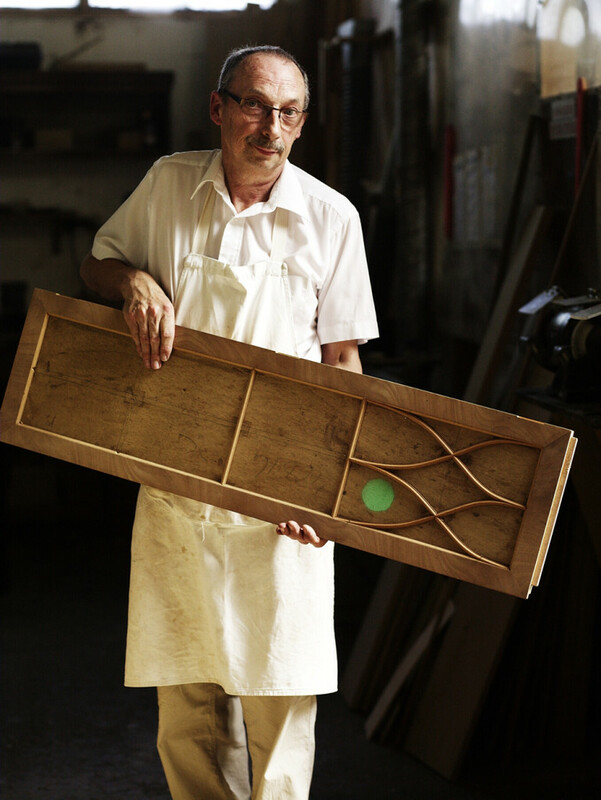 As well as producing some of our most eye-catching pieces over his 50-year career, Sid has also trained a generation of cabinet-makers with great patience and great humour. We shall miss his enormous skill, his easy manner and his ridiculously infectious laugh.